Eric Smith was born in Melbourne in 1919 and died on 20 February 2017 in Sydney, aged 97 years. He is a multiple winner of Australia's major art awards including the Archibald Prize (3), Wynne (2) and Sulman (3) Prizes, Blake Prize (6) and the Helena Rubenstein Travelling Art Scholarship in 1962. Eric's contribution to the Visual Arts in Australia has been recognised with an Australia Council Emeritus Award in 1995. 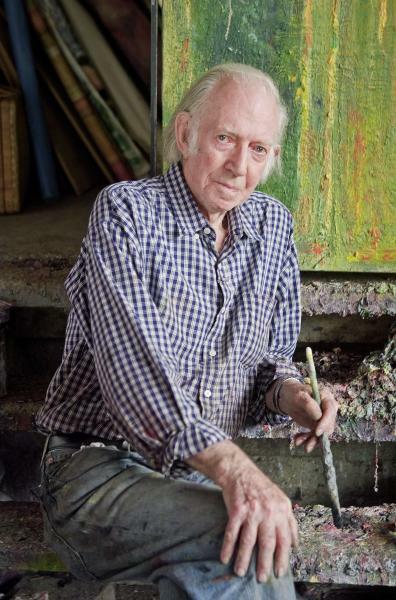 Known for his vibrant use of colour and thick textual paint in his work, many of his artworks are found in the collections of national and state galleries of Australia as well as numerous private and international collections. The documentary on Eric Smith is now available to order online. 2012 Atom Award nominee - "Best Documentary - Arts"
2013 WASA Award nominee - "Best Television Production – Factual"
Please click on paypal button below to purchase a DVD copy of this beautiful art documentary of the artist at work. NON THEATRIC SALES available through ABC library sales.